That’s right, behind the blooms there’s people! Hi I’m Elysia - owner and creative director of Maple and Wren. I’m two parts creativity, one part process driven, garnished with a heavy grating of enthusiasm (and I’m #notsorry). I’m a communications and events expert with a natural flair for the composition of beautiful blooms. I’m a gin lover, popcorn hogger, constant ideas generator, netflix binger (if you watch netflix while you work you can actually convince yourself you’re relaxing - try it) and most generally (sickeningly) positive (again yeah, #notsorry). Sunset gazer, cheese muncher, throw your head back laugher, hugger, lover, wifey and dog mamma. And I like to get things done. All of the things. To an exceptionally high standard. I love what I do, and I love meeting new people and helping them to celebrate the ceremonies of life. Whether that’s a major life event like a wedding, impending birth of significant birthday or a tiny daily celebration wrapped in a bunch of blooms. I live for supporting local businesses and worship the incredible talent, craftsmanship and dedication that so many of Perth’s business owners have. I consider myself incredibly lucky to work alongside them and experience their majesty (and occasional much loved craziness). Maple and Wren was born of this and from a little idea inspired by passion, has bloomed (oh yeah we did!) 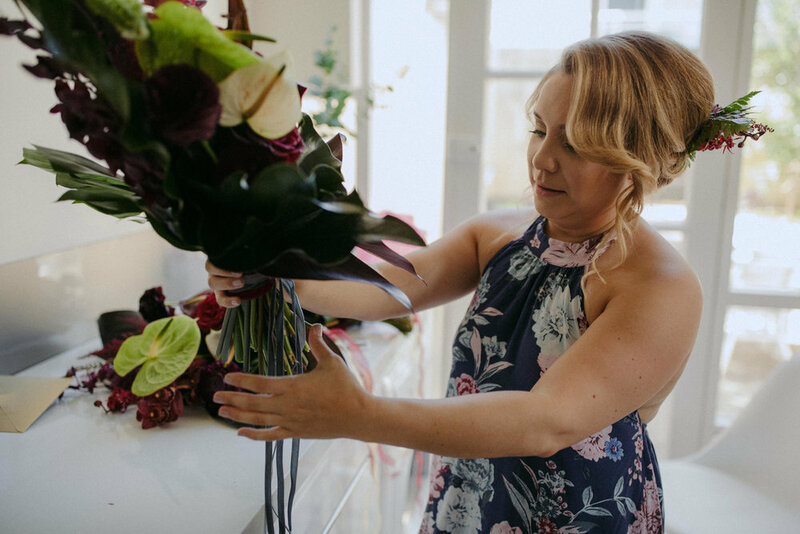 into a bespoke Perth based events and floristry company always poised to celebrate a moment of wonderment in our clients’ lives. I can’t wait to meet you to discuss you next occasion!